This big house that own the Musée rurale (litteraly rural Museum) was built on the a plot of the Abbey of Bellelay in the 1600. The house owns some elements of the original building like a vaulted kitchen with a floor in clay, a stable, a winding stair built of stone, two woody rooms upstairs and a cellar. The farmhouse is a unique building because of the roof entirely covered with shingle. It is the last building with this kind of roof in the Jura region. This room was the bedroom but also the workshop of well-known watchmaker called Léon Voirol (1900-1977). 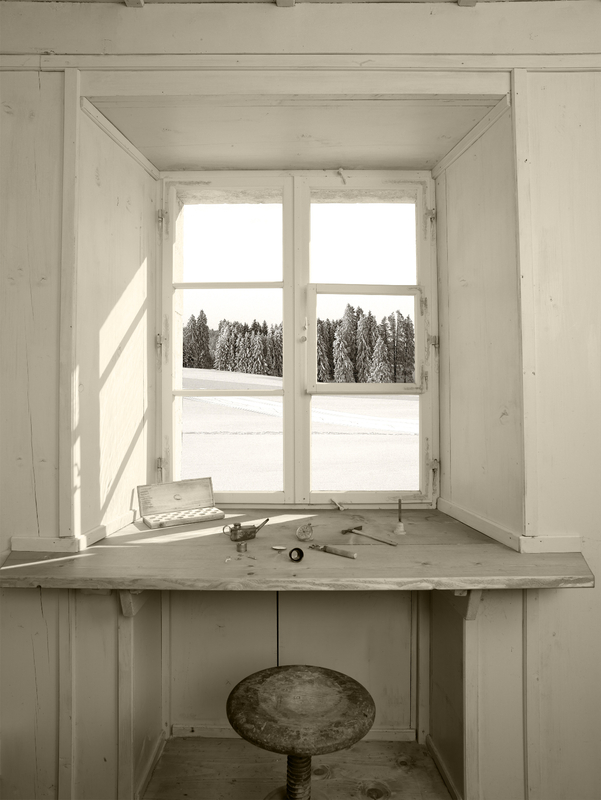 He assembled movements and watch components by working in front of this window. On his desk, you can see all the instruments and tools used by the watchmaker in the 1930. 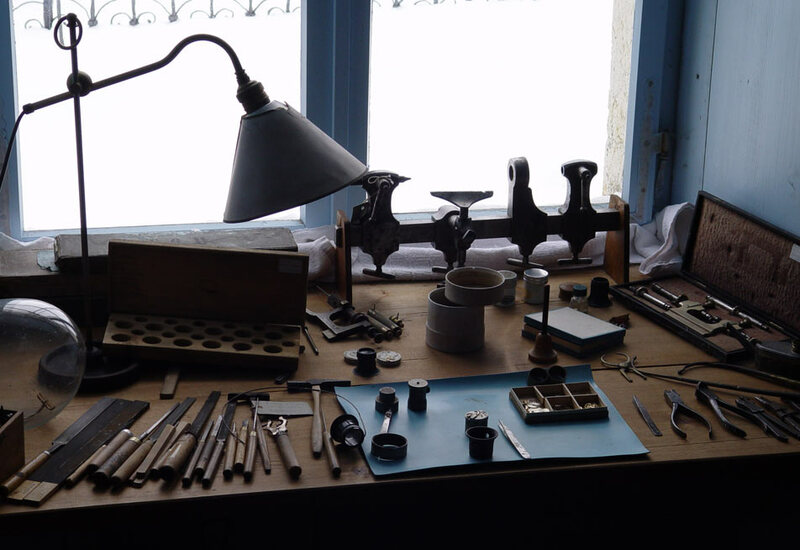 In 1905, the village of Les Genevez had a population of 700 residents (today around 550) and circa 100 of them worked as independent watchmakers.